Teeheehee. I made this while drinking my morning coffee. Anyone else with me? 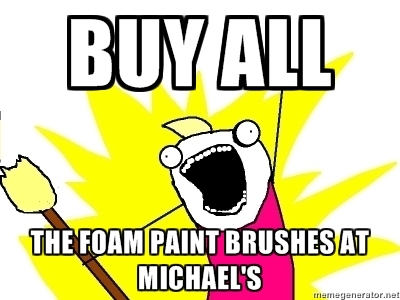 I walked in to Michael's, saw that the paint brushes were 20 for $1, and walked out with 80 paint brushes. I only bought 20 but I should have emptied the bin huh? Thanks for the 411 - going to Michael's tomorrow! I have to go to Michaels.